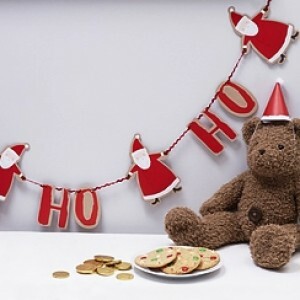 Hang this adorable festive bunting above the mantelpiece, or in the window. It features 7 super-cute Santa flags, each separated by his traditional ‘Ho Ho Ho’ chuckle. Attached to a pretty red ribbon, this bunting is the perfect finishing touch to your Christmas decorations.